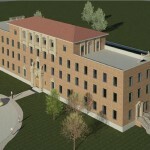 SLA Architects, through CSG/SLA Joint Venture Company, developed an RFP for the U.S. Army Corp of Engineers for the relocation of a U.S. Army Special Troops Battalion (STB) and Signal Company to Building 1001. Complete interior renovation of the historically significant building was necessary to meet the programmatic requirements of the new tenants. 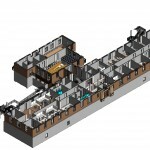 In addition to upgrades of mechanical, electrical, plumbing, and fire protection systems, the building structure was reinforced to incorporate Anti-terrorism / Force Protection (AT/FP) techniques. Preserving the architectural significance of the 5-story, 24,800 square foot, Spanish Colonial Revival style structure while complying with updated requirements of Unified Facility Criteria (UFC) provided many challenges. 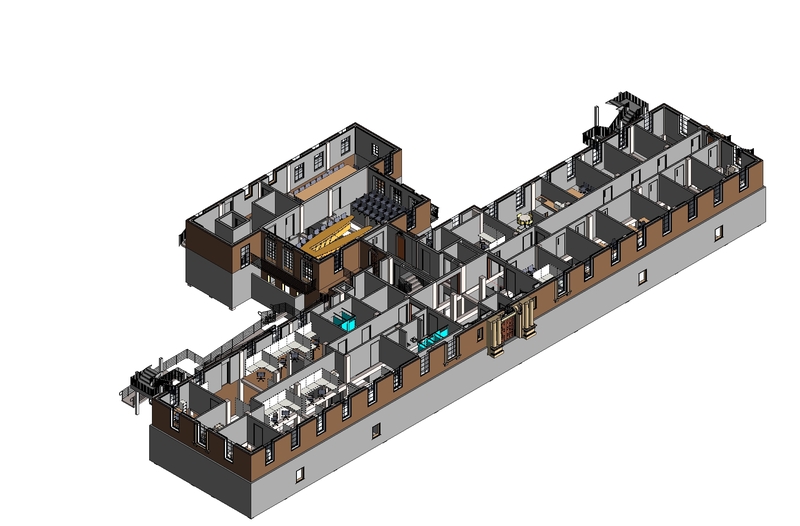 Building Information Modeling (BIM) was utilized throughout design process.